Small and practical knife sharpeners are my first choice. The latest model I was able to use that as both of these features is the Wrenwane Knife Sharpener. I have been using omit for a few months, and I honestly believe that it is a great choice. Even more important, it is an affordable product that comes with a lot of features and sharpening any knife is more than just possible. 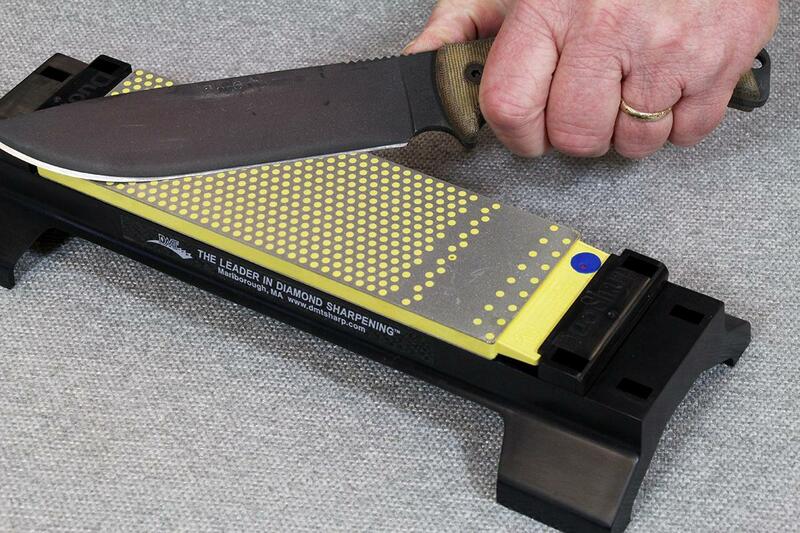 Most knife sharpeners come with 2 stages, due to the fact this is still the best way to make any knife sharp. 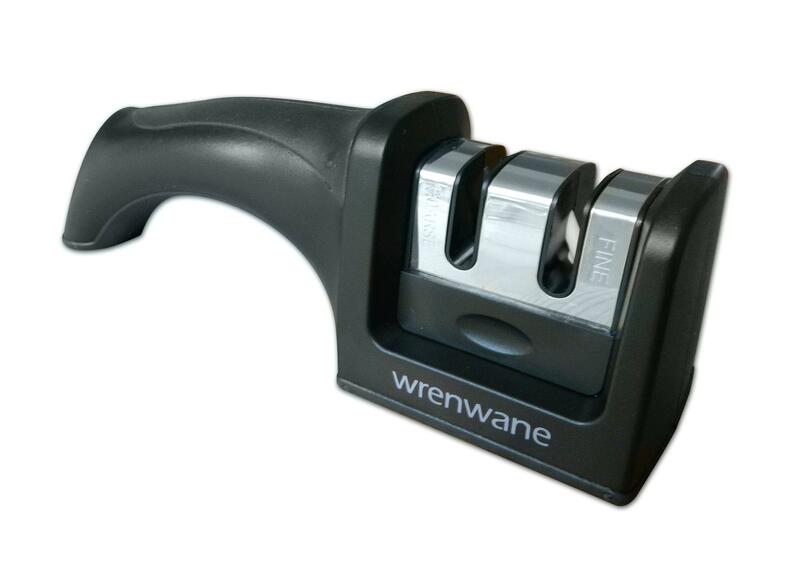 However, the Wrenwane Knife Sharpener is the first model that brings this addition to this price range. 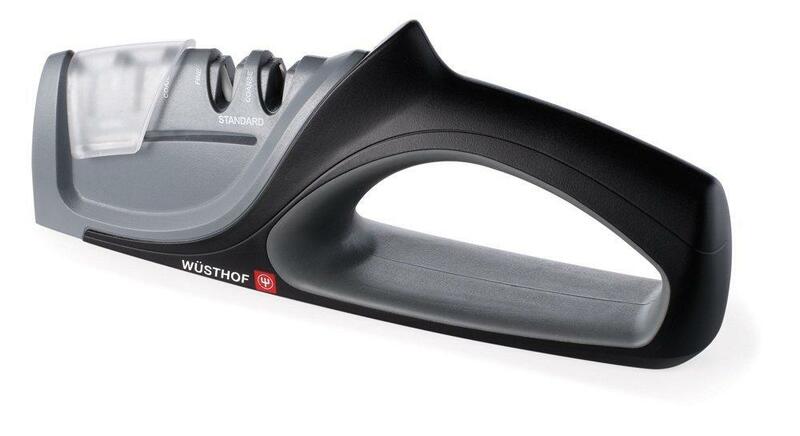 Simply said, this is the most affordable knife sharpener with 2 stages. The end result will be a perfectly sharp blade, no matter where and which type of knife you want to sharp. The first stage is for rough sharpening that will remove possible damages and make the blade sharp. The second stage is for polishing and detail sharpening. After you have used both stages, any blade will be 100% sharp and it will be restored to the factory condition. As aforementioned, this is the most affordable sharpener, but the practicality and the result can be compared to more expensive models. Some sharpeners come with a unique design that makes them more prone to causing injuries. The Wrenwane Knife Sharpener has an interesting and modern design, but it has been developed for a high level of safety as well. Simply said, the Wrenwane Knife Sharpener is one of the safest models to use and it is probably the best product in this price range. It is perfectly understandable why it is safe. The handle is large and it offers a lot of grip. The sharpener won’t slip any matter on what surface you use it. You even get a hand guard, so the end result is a perfectly sharp blade, with a high level of safety. In addition, the handle and the rest of the sharpener is made from durable materials, so the device can last for a long time and it will look like new. Despite the fact the Wrenwane Knife Sharpener comes with a heavy duty sharpening elements, made from extremely durable materials, it is lightweight. In fact, this model is one the lightest sharpeners on the market right now, which makes it a great choice, especially for people who are going to carry it. The Wrenwane Knife Sharpener is made of durable plastic, but it is much harder than any other type of this material, so you can drop it countless times, and it will still look like new and there won’t be any damages. 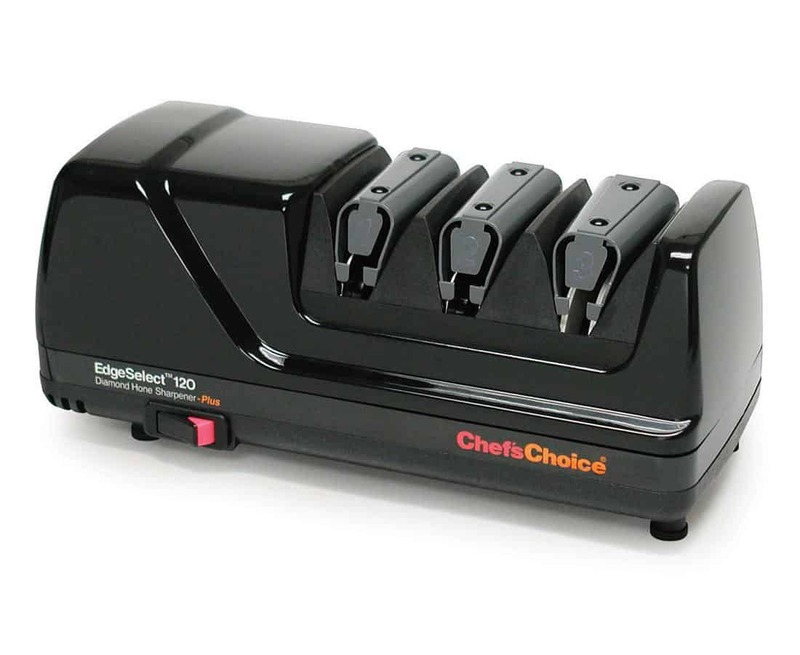 All of this means that you get one of the most affordable knife sharpeners on the market that also comes with a low weight and advanced features. The price and the handle are the most important components of the Wrenwane Knife Sharpener. This product has good durability and it has 4.6 out of 5 stars which shows how popular this product is. The Wrenwane Knife Sharpener is a model and simple product that comes at a low price and with all the features you are going to need. The end result is going to be the perfectly sharp blade, every time you use this sharpener. In addition, it is lightweight and using it is very simple. On the other side, it is durable and resistant to minor damages.